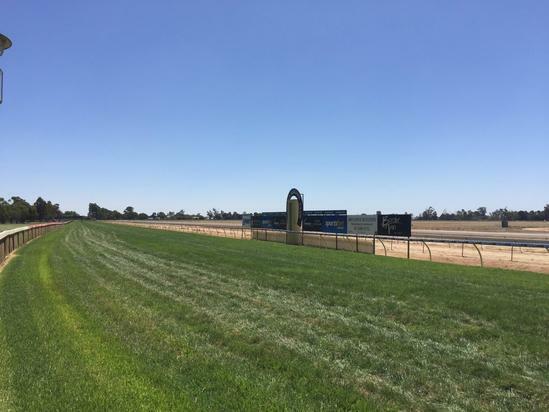 Country type racing in Victoria will be held at Echuca race club on Monday, October 2 with 10 events to be run under fine conditions racing on a good (4). The single Craig Widdison runner will see a debutant in Skye And Me to run in the Echuca Newsagency F&M maiden plate over 1170m with Dan Stackhouse aboard jumping from an awkward barrier 17. Skye And Me is a four-year-old Bay Mare by Oratorio out of Carrot Cake and will sport Winkers for the first time after trialing at Wodonga on September 12 finishing third of nine with Nick Souquet aboard, arriving half a length behind the heat winner, Frankly Harvey in a time of 49.36 for the 800m dash. Best of luck to Jacka Investments at Echuca on Monday. Situated on the banks of the beautiful Murray River, bordering the nearby township of Moama - The Echuca Racing Club is a family-friendly club, that will host 11 meetings throughout 2017/2018 season, including the main events, Moama Bowling Club Melbourne Cup Day and the Moama Bowling Club Echuca Cup which takes place on March 25th, 2018. The newly renovated Pavilion is decked out with new and stylish fittings and furnishings plus there is a fabulous deck which will be the perfect place to watch all the action of live thoroughbred racing. The Pavilion will make your time at the Echuca Racing Club an even better day out! The Pavilion is reserved for Echuca Racing Club members only on Melbourne Cup Day and Echuca Cup Day. In the early days, special trains ran from other regional towns to transport people to the Echuca races. When the Club first formed in 1864, the sport of racing swiftly gained in popularity. The influx of people by train from regional towns led to a rail siding being built to the racecourse to accommodate the special `race' trains. Despite a decline in popularity between the two World Wars, the enthusiasm for racing in the town continues today.